Take a look at this year’s map and familiarize yourself with Suwannee Music Park! 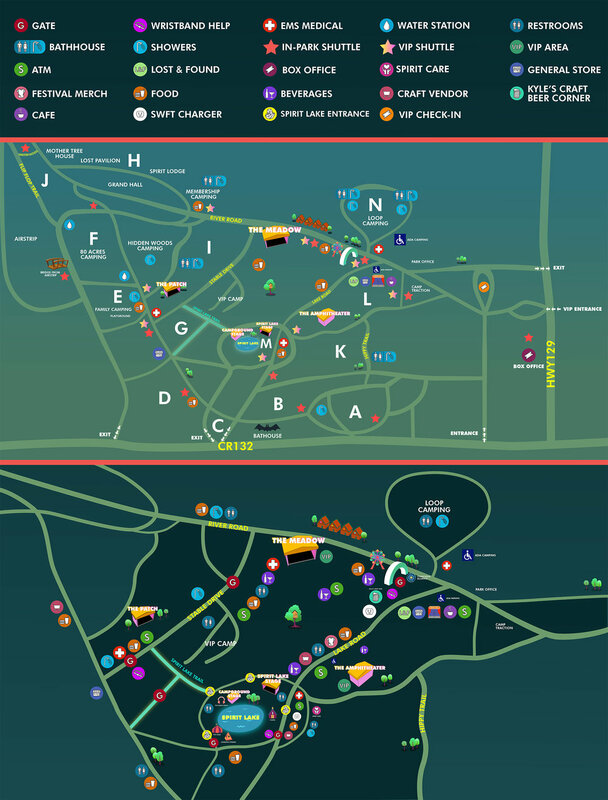 We’ve provided TWO maps this year in order to give you a closer look at the music venue and the campgrounds. Start planning with your #HulaCrew! Be mindful of yourself, one another and your surroundings. Help us in keeping the natural beauty of the park by cleaning up after yourself and recycling. Look out for on another and offer help to anyone that looks like they are in trouble. If you see something, say something! Call 386-362-2222 for direct contact with our security and medical teams. Official #HulaweenFL Posters of 2018! 2018 App Released w/ Schedule Sneak Peek!